More than 100,000 workplace injuries occur in the manufacturing sector each year, according to insurance carrier Travelers. The top five injuries in the sector include coming into contact with harmful objects (40%), overexertion (24%), slips and falls (19%), repetitive motion (8%), and contact with harmful substances/chemicals (6%). When workplace injuries happen there are direct expenses, which include covering medical and rehabilitation costs, which Workers’ Compensation insurance is designed to do. There are also indirect costs from an injury that impact a manufacturing operation. The American Society of Safety Engineers estimates that indirect costs and impacts of a worker injury are up to 20 times greater than direct costs. 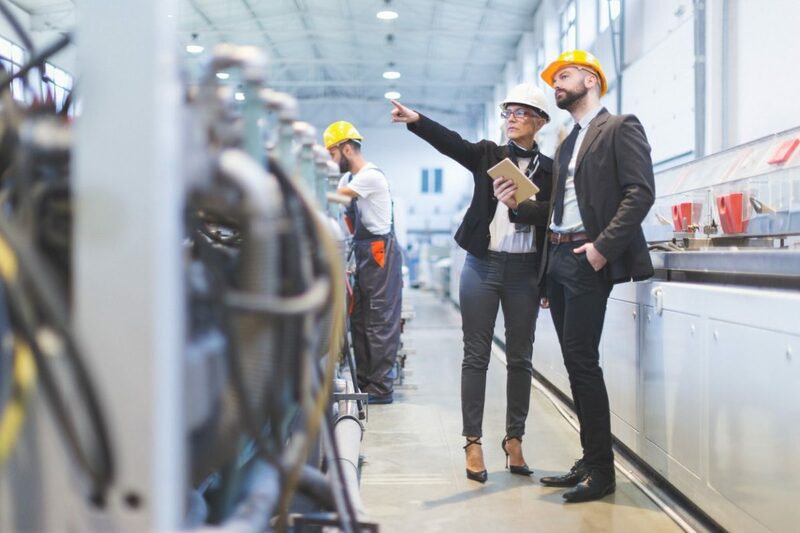 In the manufacturing sector, the extended absence of even one key employee due to injury can disrupt an entire operation. Many manufacturing employees have specialized skills that are not easily replaced on short notice. Others have knowledge of legacy systems that is literally irreplaceable. Indirect costs include the need to hire temporary workers with adequate skills to replace an injured employee. If that employee has specialized skills or is particularly productive, temporary labor costs may exceed the injured employee’s typical salary. In addition, there is the opportunity loss, as the operation may experience downtime because of the injury, resulting in fewer products completed and fewer sales. Morale can also be affected; depending on the circumstances of the accident, other employees may now be worrying about their own safety in the workplace. When an accident is not reported immediately to the insurance company, Workers’ Compensation claim costs can escalate as well. According to statistics by the National Council on Compensation Insurance (NCCI), a U.S. insurance rating and data collection bureau specializing in Workers’ Compensation, claims costs with a two-week reporting lag time are 18% higher than those reported the same day as the injury. A three-week reporting lag time results in claims costing 29% more, and a five-week reporting lag time results in claims costing 45% more. When one translates this into actual numbers, a two-week reporting lag time, for example, increases Workers’ Comp indemnity costs by an average of $76,700, while a five-week delay results in a $94,250 increase in the indemnity portion of the claim. Claims closed in 30 days carry an average cost of $287 with 90% of claims closed within this time period involving medical expenses only. However, sixty-three percent (63%) of claims open between six months and a year involve indemnity as well as medical payments. This number grows to 90% for claims open for more than three years. It’s important, therefore, that injuries be reported immediately – within 24-48 hours of the accident or injury complaint – to improve the outcome of the claim and keep costs down. Claim denials also influence Workers’ Compensation costs. A study released earlier this year examining claims from 2013 to 2017 saw an increase in claims denials from 5.8% to 6.9%. While some of these denials are sustained and do not pay out, the study showed that 67% of initial denials converted to paid claims by 12 months. That means on average, more than two out of three denied claims will eventually pay out. Furthermore, the study found that the average net incurred value of an accepted claim pays out $10,153 while the average for a denied claim which is then later paid out is $15,694.That’s a 55% increase for denied claims. Frequent reasons for denying a claim include no medical evidence of injury, the injury is not related to work, and the injury did not occur to a statutory employee. With claim denials comes litigation, which is another cost driver for employers. In fact, 70.6% of denied lost-time claims will be litigated, said the study, which is more than twice the litigation rate for non-denied lost time claims of 27.5 percent. The study also noted that while converted denials cost more than non-denied claims in every industry, some sectors have significant variation from the overall averages, manufacturing among them. NorthStar specializes in Workers’ Compensation insurance solutions for manufacturers of all types, including machine shops, plastic goods manufacturing, metal goods, and others. As part of our commitment to this industry, we also assist manufacturing operations in educating them on how to contain comp costs that can impact the bottom line. For a consultation, please call NorthStar’s office at (800) 301-1944 to speak with a member of our team. Manufacturing & Distribution, Workers' Compensation Insurance for Manufacturers, Manufacturing, Manufacturing & Distribution, NorthStar, Workers' Comp, Workers' Compensation, Workers' Compensation for Manufacturers permalink.